The University's French Club organized two events to memorialize the victims and celebrate free speech. 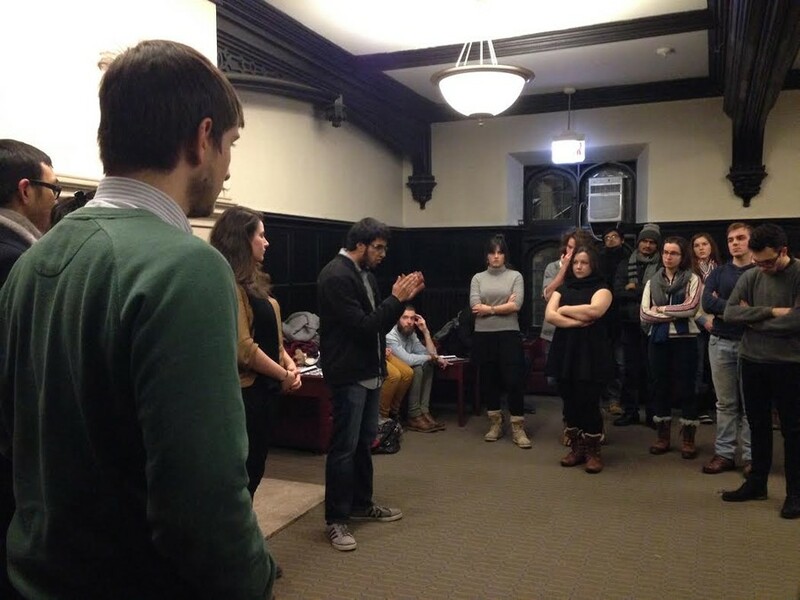 In the wake of the recent terrorist attack on a French satirical newspaper, the University’s French Club responded by hosting two events in Chicago, including holding a moment of silence for the victims. On January 7, gunmen killed 12 people at Charlie Hebdo, known for its provocative cartoons that have parodied Islam, as well as many other religions and political groups. The gunmen appear to have some affiliation with Al Qaeda, reported The New York Times. “The goal [of this attack] was to destroy this newspaper, and to try and kill the newspaper. [It] gave birth to [a movement]and united people who would have otherwise been divided over the content of the newspaper—it united people in defending what allows the paper to exist in the first place,” French Club president and fourth-year Eve Zuckerman said in between the two events. Zuckerman organized an event at the Alliance Française cultural center in Chicago within hours of the shooting on Wednesday. Over 200 people gathered in solidarity, and the Consul General of France in Chicago Vincent Floreani made a speech. The French Club also hosted a moment of silence on Wednesday on campus that was originally planned as the French Club’s celebration with galette des rois cake. Over forty students attended, as well as Floreani. Both Zuckerman and the president of the Muslim Students Association, third-year Salman Sayeed Islam, also spoke at the event. Thomas Pavel, a French professor at the University, said French society has a tradition of more provocative humor than in America. “This is their kind of humor: rude, coarse, but hitting some important truths. Because the French need this kind of joke, it is a way of making fun of everything,” he wrote in an email. French professor Desan Philippe said he thinks French society has become more tame, which Charlie Hebdo combatted.